I have amassed many mugs over the years and the collection has become more and more random and ‘eclectic’. Until recently, my kitchen cupboards were like the mug version of the United Nations: large; small; hand-crafted; hand-painted; Denby; gift mugs; ‘ugly’ mugs, (hopefully the real ‘United Nations’ don’t categorise their members in quite the same way!). 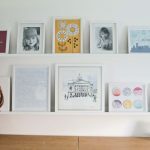 Despite loving many of my mugs and their diversity, my random assortment always rankled with my desire to co-ordinate and have a sense of order in my kitchen cupboards. You can imagine how delighted I was when our new kitchen finally gave me the excuse to commence ‘Operation: Mug cull’ and move a step closer to the my goal: a co-ordinated mug collection. 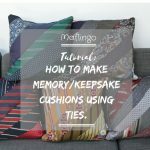 I’d like to say I reminisced about how the mugs had found their way onto my kitchen shelves, spending hours deliberating which mugs I would save and which I would have to let go but that would be a big fat lie! Instead, I was already looking for a box big enough to store the rejects in before the kitchen fitters drove away for the last time. You see, there were some mugs in my cupboard that I’d been wanting to get rid of for years. I am not going to name and shame them because there are a few gift mugs and hand-painted ones that fall into that category and I need to protect the innocent. Farewell (Good riddance) random reject mugs! Once my ‘mug cull’ was complete, I set about looking for mugs to compliment our new tableware, having sold most of our Denby Boston Blue pieces on eBay and Gumtree to fund our lovely House by John Lewis Coupe Tableware. Tip: If you ever think of trading in your old Denby plates for something different you will be amazed just how easily it sells. I managed to get close to the original price for our 16 year old Denby Boston because it’s discontinued. 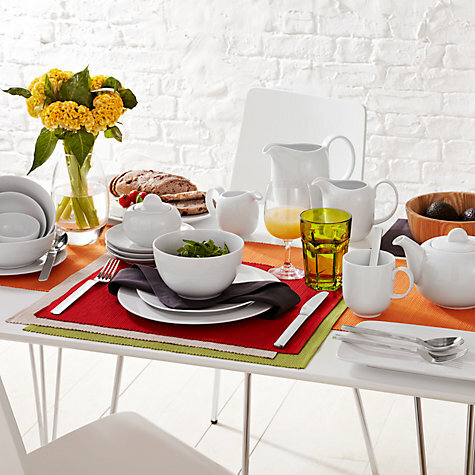 It covered the cost of our bright new John Lewis set. 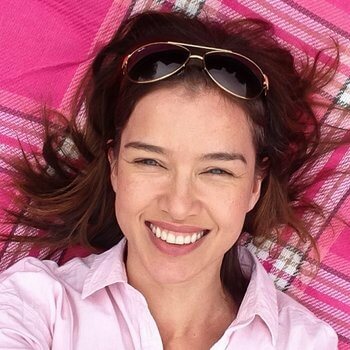 It’s a standing joke with my sister that whenever I embark on a quest to find ‘My perfect [INSERT ITEM HERE]’ there is a strong possibility that the thing I have in my head might not actually exist! 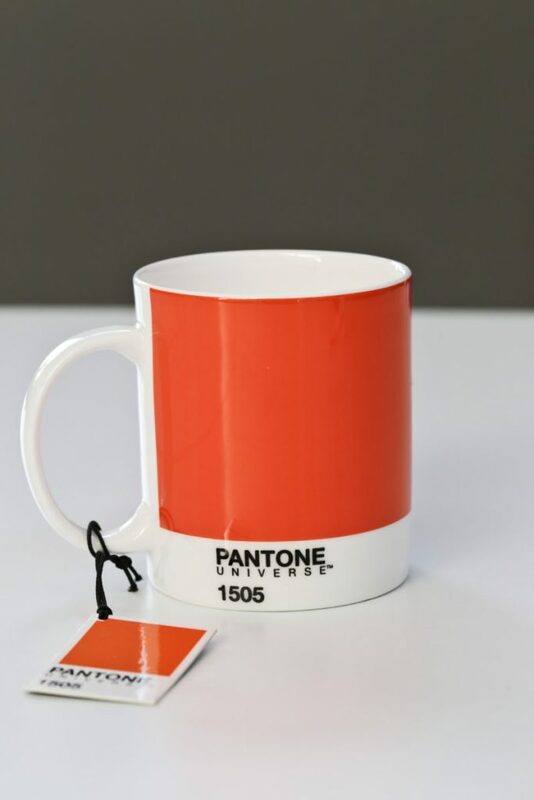 My first Pantone Universe Mug, from Homesense. Pantone® Universe is a collection of lifestyle products based on fashion color trends for the consumer. 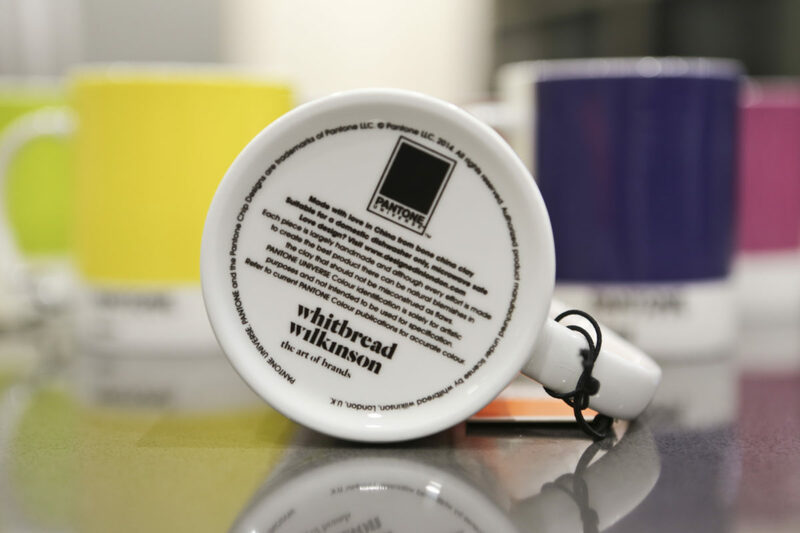 Each colour is selected from Pantone® colour charts and more colours are added each year. The collection, consisting of tabletop, stationery items, travel gear, accessories and rainwear, combines timeless designs and modern materials with current trend colors. 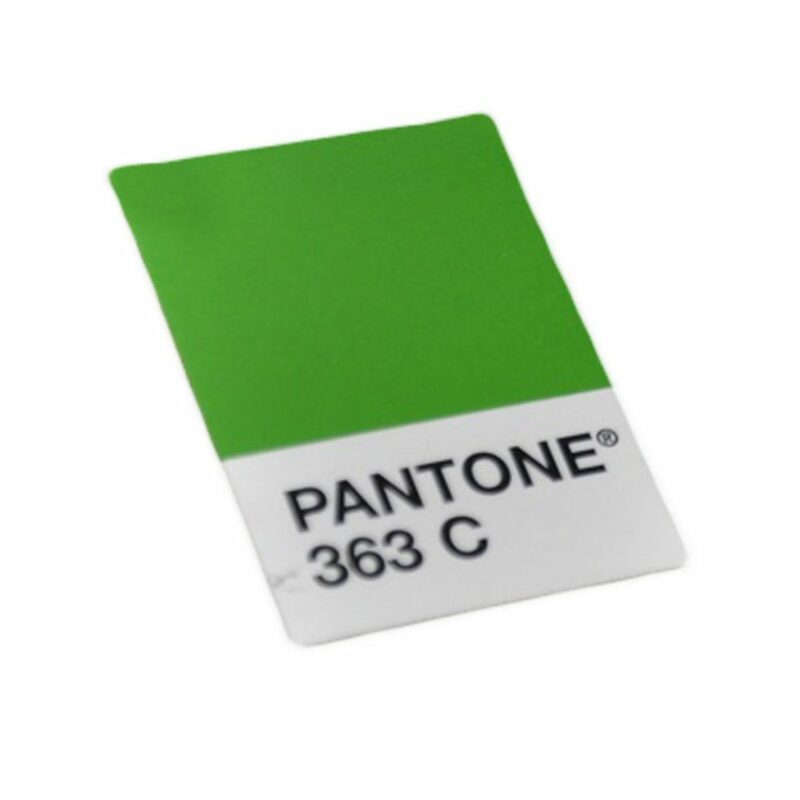 More information is available at www.pantoneuniverse.com. I added the first Pantone® Universe mug to my collection when I spotted it in Homesense. I made repeated trips to the store over the next few weeks and managed to find a grab a few more colours before they sold out. 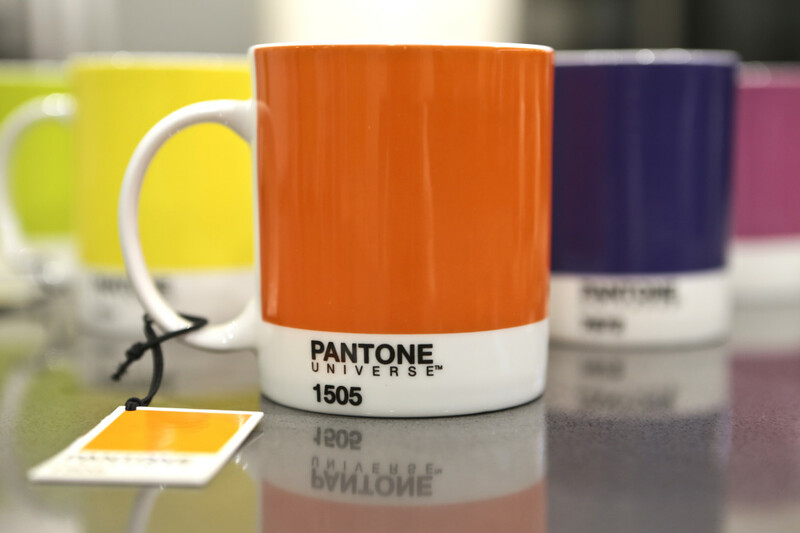 After searching online, I was able to complete my entire mug collection at One Stop Colour Shop, which offers a huge range of Pantone® Universe mugs and products at competitive prices. Feast your eyes on my new mugs! I’m in co-ordinated mug heaven! 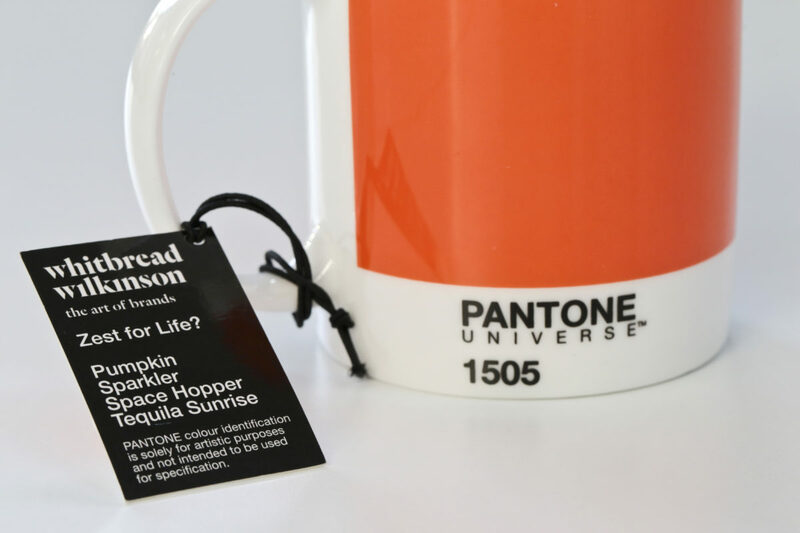 My kids love these mugs too because they each come with a name tag with five suggested names for their Pantone® Universe Colour. How cool is that? 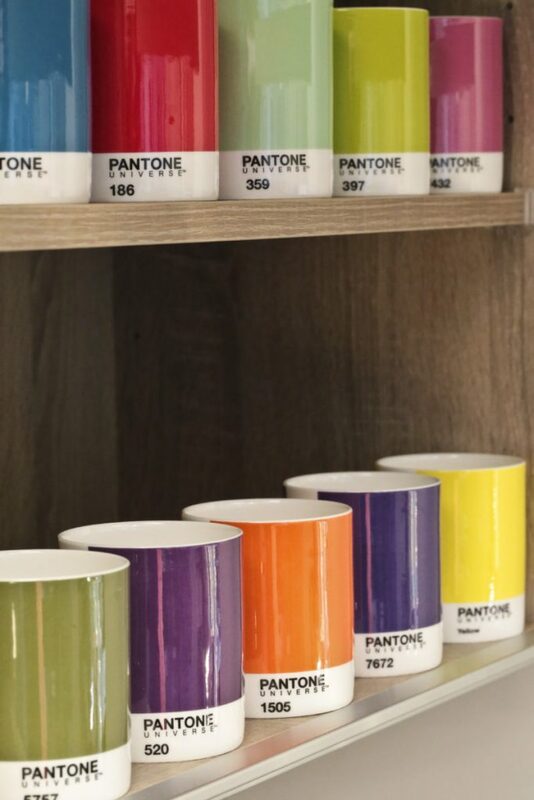 Some of the suggested colour names for our mugs include: wasabi; disco trousers; rubber gloves; tonsil(! ); going gothic; space hopper; frond; London bus; and bouncy castle. 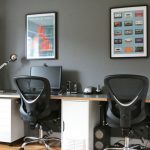 One Stop Colour Shop are specialists in RAL colour charts, Pantone® colour charts and RAL colour samples. They supply RAL colour charts to designers, architects, industrial colourists and trade colour suppliers throughout the UK. 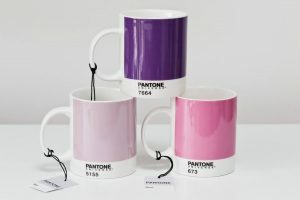 In all, I ordered seven Pantone® Universe mugs from One Stop Colour Shop. They arrived swiftly and were well packaged too. I will certainly be buying from them in future. In fact, I have my eye on the Pantone® Christmas Baubles…Don’t even get me started on my feelings about our ‘random Christmas bauble’ collection! 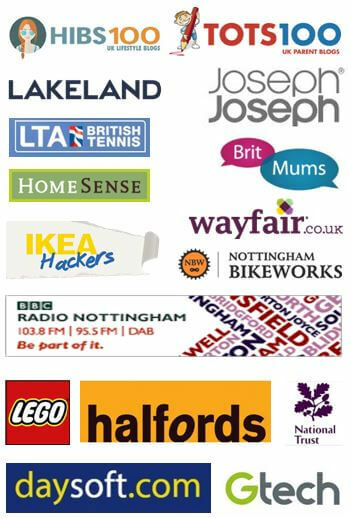 I have negotiated an exclusive voucher code for Maflingo readers with One Stop Colour Shop. 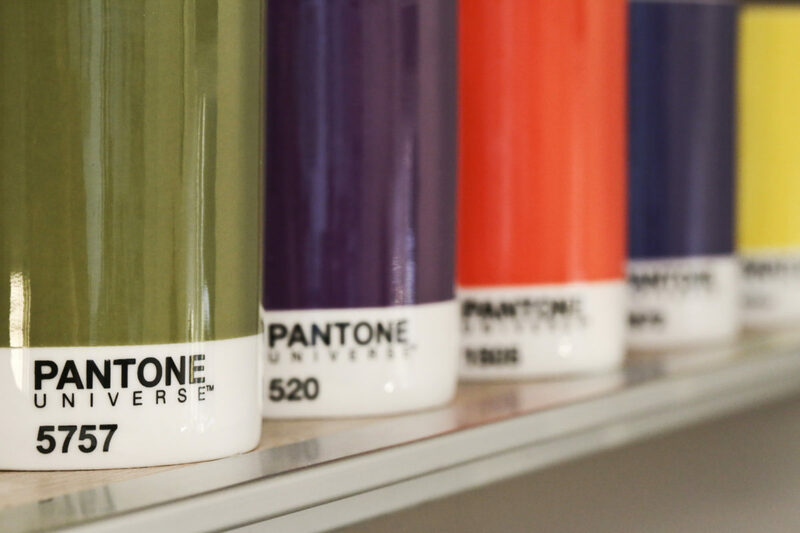 Why not visit One Stop Colour Shop and have a look at all of their fantastic Pantone® Universe products and take advantage of this fantastic reader offer. 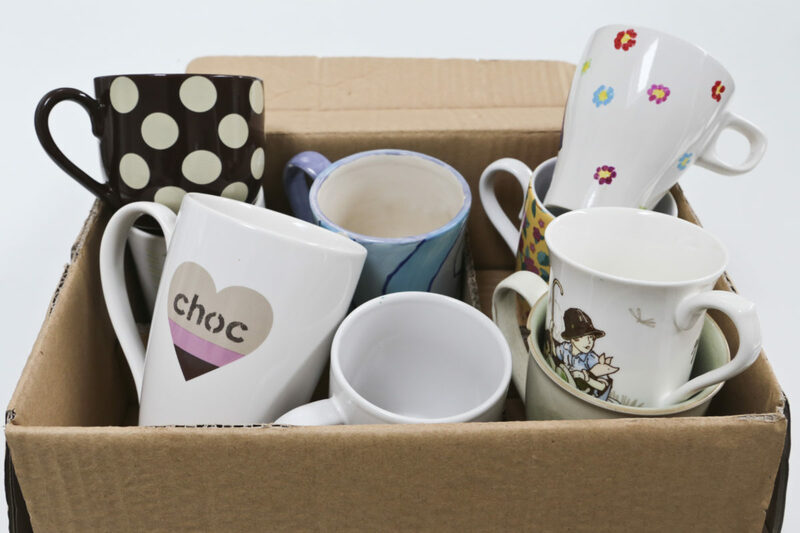 If you have any ‘perfect mug’ stories or if you have had a ‘mug cull’ in your kitchen then I’d love to hear from you. 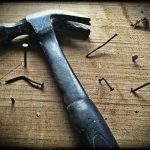 If you like this post (or any of my posts) then please support a newbie blogger like me and share it with your friends! Thank you. I’m a blogger this I know, cos my Moo cards tell me so! I had a delivery last week. My new business cards arrived from Moo. It's official. 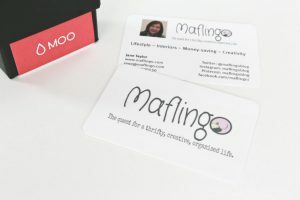 It's in black & white (& pink): Maflingo is my blog & I'm a blogger. 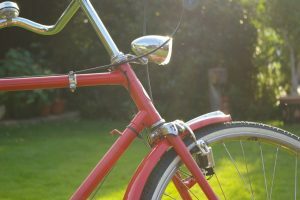 As Halfords celebrates ‘Bikes through the decades’, I recall my first bike. Halfords have been winding back the clock with their "Bikes through the Decades” campaign. As Christmas approaches, I reminisce about one of the best Christmas presents I ever received as a child, my very first bike. ooh they are rather lovely! Obviously great minds think alike. We bought new mugs last week to replace some very old ones. Ours from china man on Loughborough market. (great stall) and only yesterday we bought more cereal bowls from John Lewis House range.